This freshly ground organic all-purpose flour is far superior to anything you can get in the supermarket. It will transform your baking to a whole new level! 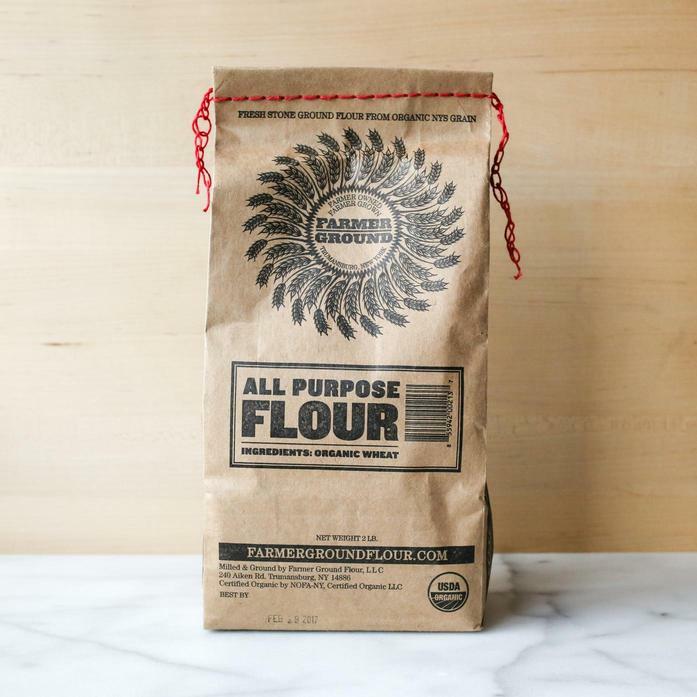 Farmer Ground Flour began milling fresh flour with beautiful pink granite millstones in 2009 using grains grown in New York's Finger Lakes Region. None of their grains are bleached, chemically treated, or enriched allowing the natural nutrients and flavors to speak for themselves. Each order contains 1 2lb bag of all-purpose flour.